Trainers Notes – A very detailed and concise explanation of what you should do during the session, complete with the comments you should make and notes on what to do during activities etc. This is a very detailed step-by-step way of training. Pre-course Preparation – Basic advice on running the training course and also any necessary preparation that is specific to the course. This training resource will be delivered immediately after checkout. Don’t have time to deliver a full days training or wider programme? 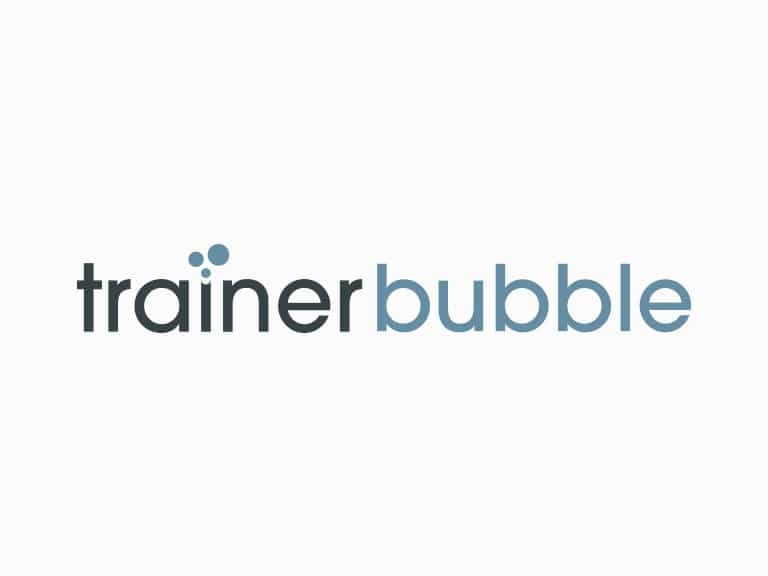 These 1 Hour Training Bubbles have been developed for the busy trainer or line manager that wants to get a message across, but needs to reduce the impact to working operations. Developed for use in meetings or as part of stand-alone training session. 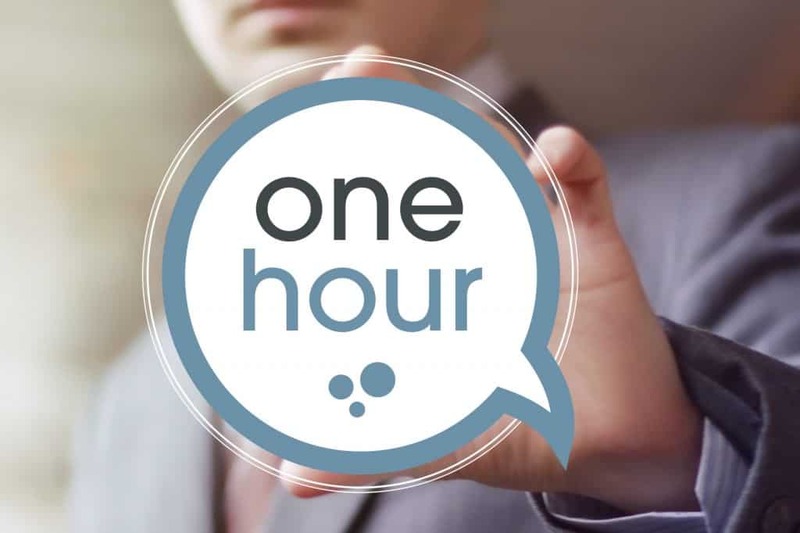 These short, succinct 1 Hour Training Bubbles enable you to deliver effective training sessions that get the key message across and retain participant involvement. Although the design of these materials deviates slightly from our usual style, the content is presented in such a way that anyone can deliver the training sessions. The training materials are clear, precise and to the point. 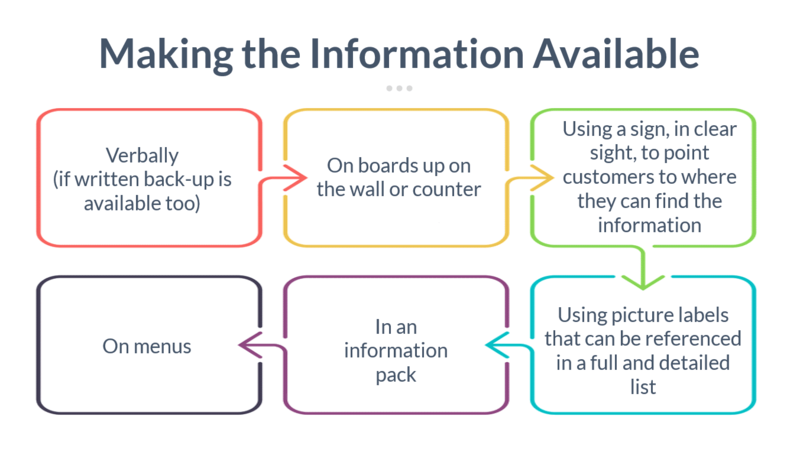 They also include a special handout for participants to take away key information. 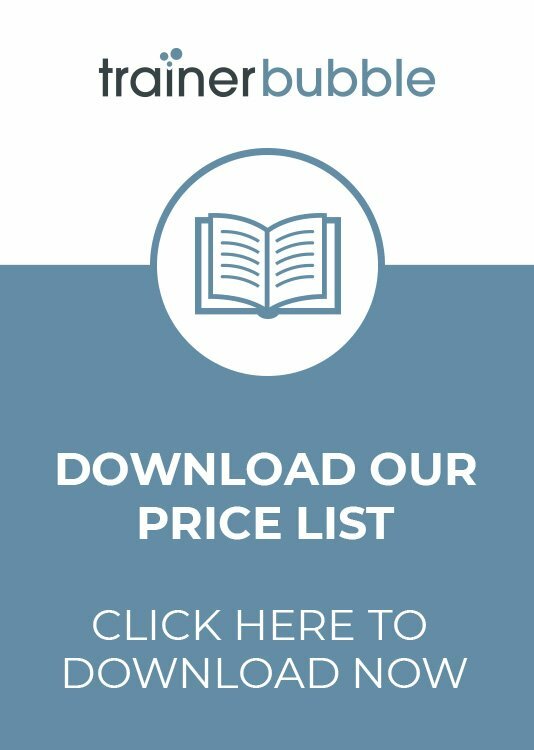 As usual, they are presented in Word and PowerPoint format, so they can be fully altered and edited to suit your individual needs. 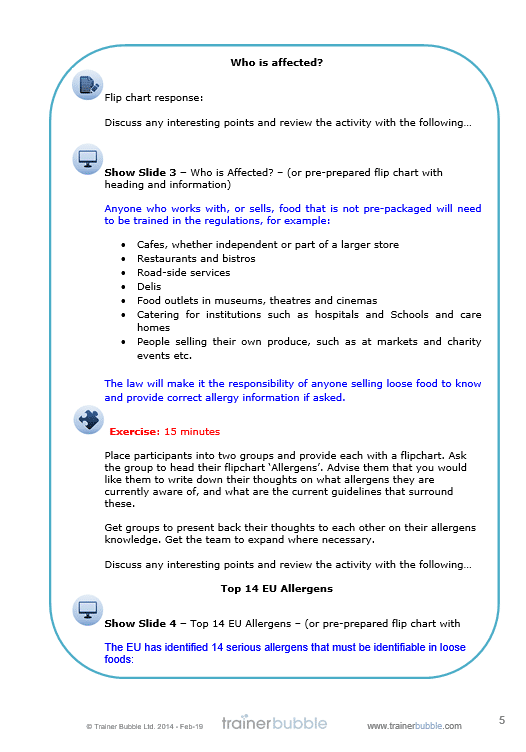 Each pack contains: Session Notes, Handout and Slides. 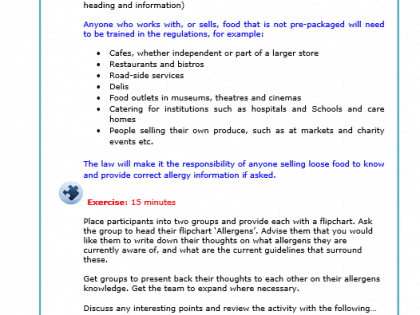 These training course materials focus on the allergen laws called the Food Information Regulations EU1169/2011 (FIR Regulations). It vital all food service organisations, no matter what their size, understand the implications and their responsibilities. 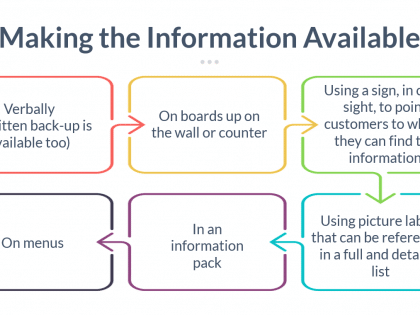 This law has a big impact on food selling, requiring much more information to be available to customers, both written and verbal. This one hour session will help your participants understand what is required and how to implement the regulations within their organisation. Loose foods can be defined as any edible product that is not sold pre-packaged, including foods which are packaged on the same site where they were made. Pre-packaged food that you buy in already wrapped to be sold on, will already be labelled with clear ingredients and allergy information. These training course materials aim to create a better understanding of the Food Information Regulations, requirements for all food service organisations, no matter what their size. 1. 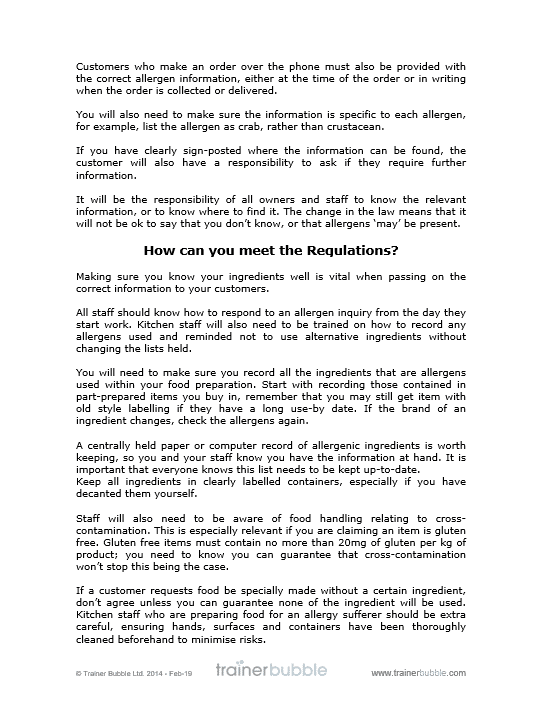 Understand the different types of workplaces affected by the Food Information Regulations. Fish: fresh, frozen or dried. Lupin: seeds and flour, etc. 3. 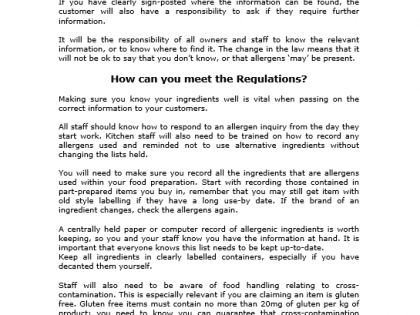 Describe your responsibilities as an establishment under the Food Information Regulations. 4. Identify key actions to improve your compliance to the food regulations.